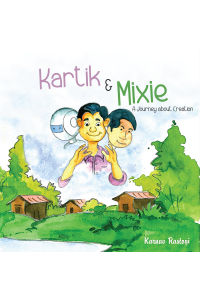 Kartik and Mixie is a book about journey of creation. 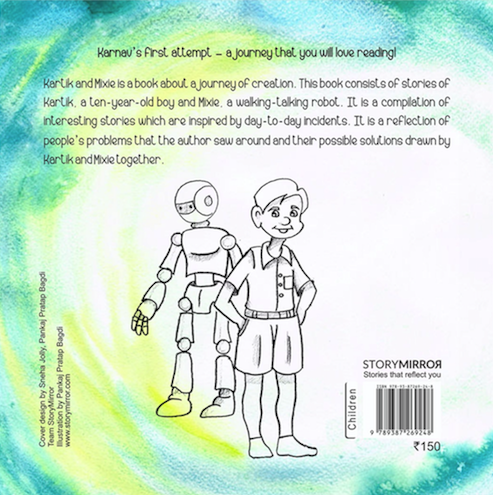 This book consists of stories of Kartik, a ten year old boy and Mixie, a walking talking robot. It is a compilation of interesting stories which are inspired from day to day incidents. It is a reflection of people’s problems that Karnav saw around and their possible solutions drawn by Kartik and Mixie together. This is his first attempt to publish a book, a journey that you will love reading. and possesses good communication skills and has been awarded for his speaking skills. Besides writing he loves to play chess. He has won numerous medals and trophies in this sport. He enjoys doing voice over and has lent his voice for few advertisements. After being awarded an International gold medal in English Olympiad for being an international topper, his interests toward this language increased tremendously. He wants to continue creative writing and inspire children to undertake a journey of new creations.